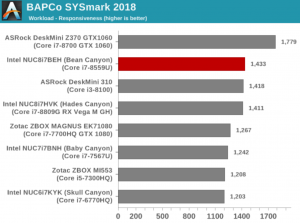 Ganesh T S at AnandTech reviews the “Intel’s Bean Canyon (NUC8i7BEH) Coffee Lake NUC” using BAPCo’s SYSmark 2018 benchmark. 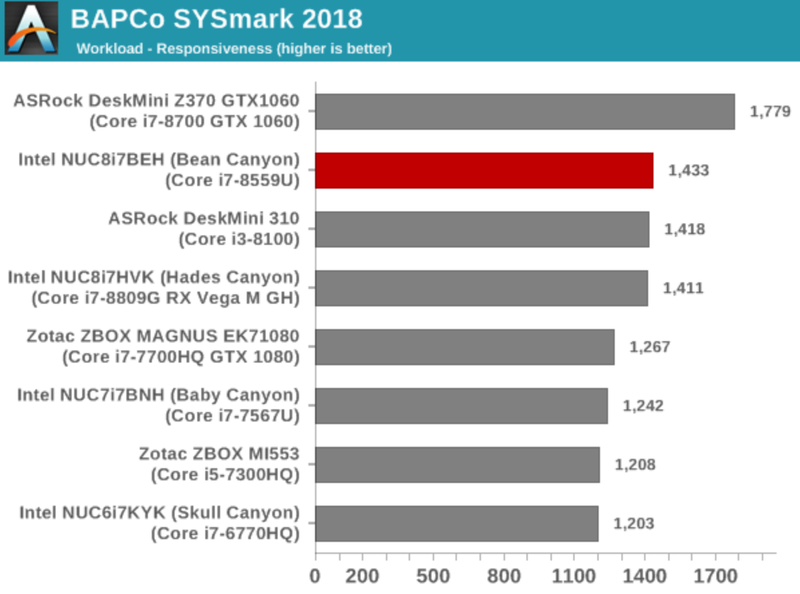 Head on over to AnandTech for the full “Intel’s Bean Canyon (NUC8i7BEH) Coffee Lake NUC” here. Grab a copy of BAPCo’s SYSmark 2018 PC benchmark up at the BAPCo Store here.